We suggest following this plan for 6 months. It takes our bodies years to get “out of shape” so it is vital to give your body proper time to heal and repair. Supplementing AIDS your body in repairing itself, but a proper diet also must be followed in order to see optimal results. Many people have seen this disease improve, but commitment and positive outlook are also very important! The below supplemental suggestions have been derived from several sources–Dr. Frank Painter, D.C., Dr. James F. Balch, M.D., and Phyllis A. Balch, C.N.C. Both Type I & II diabetics have increased requirements for multiple nutrients, including, but not limited to, chromium, magnesium and Vitamin C. Repletion of these vitamins has been shown to improve glycemic control and to slow the development of diabetic retinopathy. 1. Glucose Regulation Complex:Support for efficient glucose metabolism and improves insulin efficiency. Alpha lipoic acid, for example, helps make your cells more responsive to insulin so they get the energy they need. Vanadium works with chromium, magnesium, and zinc to help balance your blood sugar, preventing energy ups and downs. Helps curb cravings. May help reduce the amount of insulin or medication that person is taking. 2.Vivix: World’s best cellular anti-aging supplement. In laboratory studies, vivix was shown to impact the four key mechanisms of cellular anti-aging. This is a highly purified and concentrated form of resveratrol and other ingredients. Resveratrol research has shown tremendous promise in reversing diabetes and repairing some past damage. 3. Vitamin B Complex: B’s are associated with sugar metabolism/energy release. Neuropathies, especially with pain/burning sensations) and leg ulcers respond well to the B’s. 4. Zinc: Insulin contains a lot of zinc and diabetics seem to lose more of it in their urine. It is also an important component of over 90 body enzymes. It is also important for healing and immune competency. DAILY DOSAGE: Take 1 per meal. 5. Soy Protein: Replace animal proteins, which are harder to metabolize, thus causing stress on the liver. See our other articles on the importance of and many benefits of Soy Portein. 6. CoQHeart: Coenzyme Q10 will improve circulation and help to stabilize blood sugar. CoQHeart also helps to support energy production in your cells. This is also important for heart health, which relies on CoQ10 for energy daily. 8. Vitamin C: Vitamin C is essential for many body processes, from iron absorption, to healing, hormone production, immune function and reduction of heart disease risk. Deficiency may lead to vascular problems in people with diabetes. 9. Vitamin E: LDL cholesterol fats in the diet can become oxidized and wind up as plaque (“hardening” of the arteries). Vitamin E is a strong antioxidant and has been proven to prevent this plaque buildup by improving circulation. 10. Fiber: There are 2 types. Soluble fiber (from fruits, vegetables, oats and dried beans) help reduce drastic shifts in blood sugar levels as well as lowering total blood LDL (the “bad”) cholesterol. Insoluble fiber (daily recommendations are 30 grams per day) is rarely met by the normal diet. For this reason, supplementation is necessary. 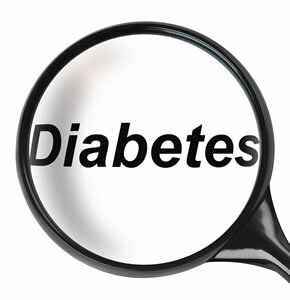 Diabetics are more prone to constipation, so adding a fiber supplement and increased water intake is important. DAILY DOSAGE: 40 grams combined soluble and insoluble fibers (various Shaklee fiber products to choose from). 11. OsteoMatrix (Calcium and Magnesium): Magnesium is associated with carbohydrate metabolism and is usually low in diabetics. Low levels are associated with heart disease and retinopathy. Calcium and Magnesium are both important for enzyme systems and pH balance. Magnesium protects against coronary artery spasm in arteriosclerosis. 12. Garlic: Stabilizes blood sugar, enhances immunity, and improves circulation. DAILY DOSAGE: 2 each morning and evening, with meals. 13. EZ Gest:To aid digestion. Proper digestion is essential in management of diabetes. DAILY DOSAGE: As directed on label. Take with meals.